My father has been a professor for the past 30+ years. He has taught at the Air Force Academy and at Georgetown University, and he has spent most of his career teaching high-ranking military officers at the National War College in Washington, D.C. Speaking in public is his life! His true passion is for military strategy, and he loves teaching, but writing a book has been a “bucket list” item for him for a long time. He just hasn’t felt like he’s had the time or energy to devote to it. Based on what I covered in the first part of this article (which you can find over at Businessing Magazine), I’m wasn’t surprised by that statement at all. There’s no doubt in my mind that writing a book will help you become a better and more knowledgeable speaker. If your goal is to book more speaking events (or maybe even your first one! ), having written a book is extremely helpful towards getting your foot in the door. So many public speakers have books nowadays, it’s practically a requirement. Think about it: if you were on the committee to choose speakers for a conference or convention and one candidate had written a book but the other had not, the one with the book would probably stand out more. Books give you credibility and help position you as an expert in your field. Yes, publishing has changed in the last decade, and yes, some people believe that those changes have made having a published book less “impressive” than it used to be, but the vast majority of people do not care how your book was published. They care that you have one and that it’s good. Actually, to be honest, a lot of people no longer even care if it’s good, but that’s another topic for another day. If you’re going to go through all the effort to write a book, you should care that it’s good! I want to be clear: I’m not saying that as soon as your book is published, you’ll begin receiving all sorts of unsolicited invitations to speak at events around the country and the world. That’s not quite how it works. But if you’ve put your name in the hat to be considered for an event, a book could make or break your chances of getting the gig, depending on who else is on the list. And unsolicited invitations do happen (although they’re rare). Modmacro CEO and three-time author Matthew Smith has said that he’s received quite a few calls in the last couple years to speak at local small business conferences—something that didn’t happen nearly as often before he was a published author. So you just never know! Much depends on the topic of the book and its intended audience. While having a book isn’t the only thing that will help you get hired for more speaking events, it can be a big piece of it. It shouldn’t be your only reason to write a book if you’re a public speaker, but it can be a pretty significant benefit. As a public speaker, I hope that you are immensely passionate about your message. 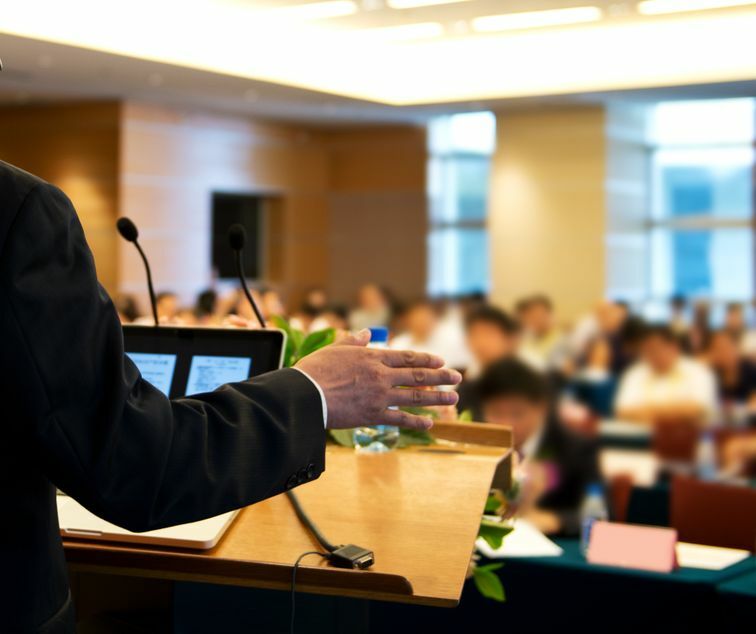 Passion for a particular topic or a particular perspective on a topic is what makes speakers good at what they do. Without that genuine love for it, a speech falls flat. Books are the same way. People write books because they love a subject and want to dive further into it. Then they want to communicate about it in a way that makes other people love that subject, too. They’re a natural fit for each other. If you’re a speaker of any kind, or if you’d like to become one, it’s time to start thinking about writing a book. At Maven, we know that the idea of sitting down to write can be daunting, but that’s why we’re available to help right at the very start. Contact us today—we’d love to help you turn your love of speaking into a book that helps you connect with your audience on a deeper level and that helps you grow as a professional.